The latest update to Advanced Multimedia Devices, Inc.'s (AMDi) trusted iAdapter is here - iAdapter 6. Continuing with the sucessful recipe of amplification, portability and durability which are all important ingredients in the recipe for sucessful use of an iPad as an AAC tool, AMDi have again listened to valued customer feedback and improved the iAdapter once again. 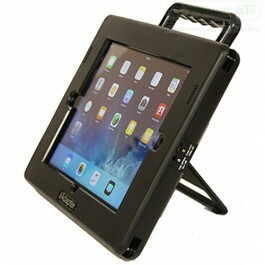 The result is the best iAdapter ever, the sixth iteration of the most complete transformative iPad AAC accessory. iAdapter 6 is here. Enhanced sound quality using Bluetooth audio, a feature that was updated in the previous model but has now been improved again. Simple and solid Bluetooth connection.